Three gold rings have been already claimed with 12 more still to go. 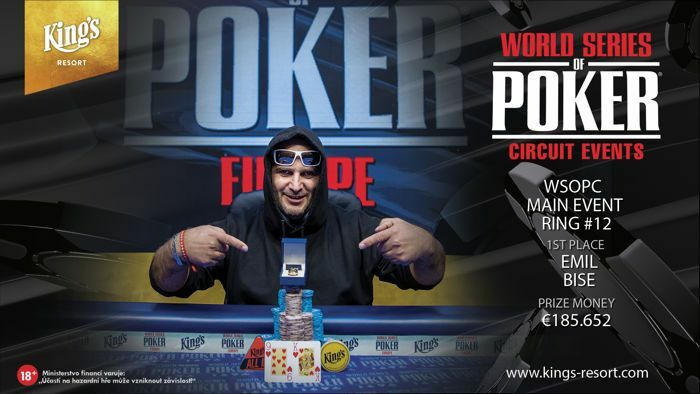 The WSOP International Circuit Rozvadov is fully underway at King's Resort. 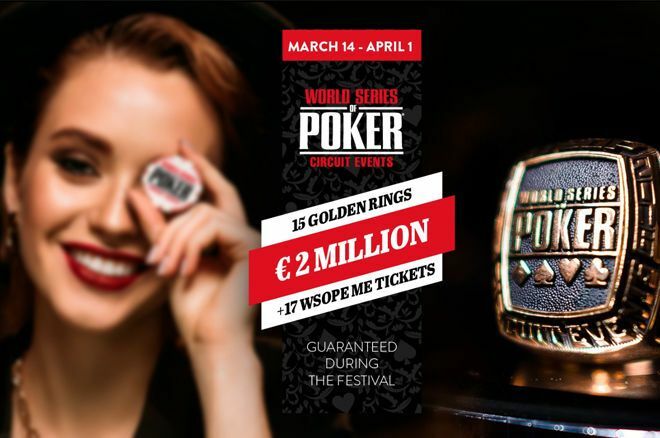 The festival will award a total of 15 gold rings and runs March 14 through April 1 with buy-ins ranging from €299 to €5,300. The first three rings have already been claimed. A German player who wished to remain anonymous won Event #1: €299 Spring Opener for €64,431 ($72,887) after outlasting a field of 930 entrants. The next two rings were claimed by players from Lithuania. 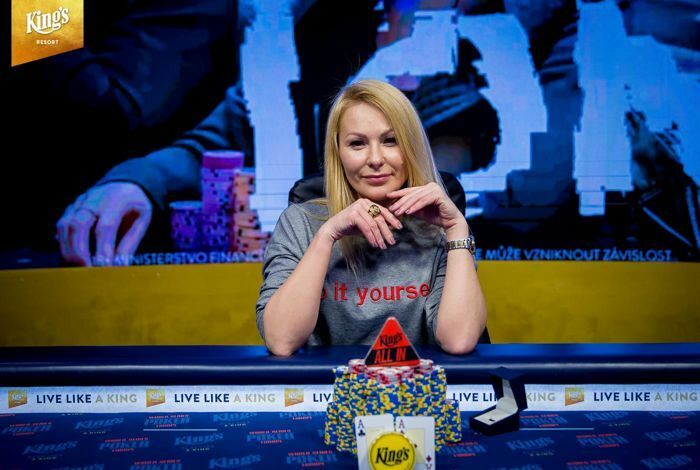 Paulius Vaitiekunas won Event #2: €777 Lucky 7s for €34,681 ($39,367) while Irena Macesovic won Event #3: €660 No-Limit Hold’em 6-Handed for €11,671 ($13,248). Another ring will be claimed soon with the one-day Event #4: €250 Seniors Event kicking off on March 20 at 3 p.m CET. The first of the eight opening flights of Event #5: €250 Mini Main Event, featuring a €551,750 guaranteed prize pool, begins three hours later at 6 p.m. CET. The festival will conclude on April 1 after the winner of the Event #13: €1,700 Main Event is declared. This is easily the highlight of the festival with a €1,103,500 guaranteed prize pool on tap. The Main Event is a deep-stacked affair with players starting with 50,000 in chips and blinds increasing every 45 minutes during each of the two opening flights on March 29-30. Players are allowed up to one reentry on each opening flight and can reenter again on Day 2 on March 31 before the end of the second blind level of the day. The structure becomes deeper on the final day with one-hour blind levels. Other events with big guarantees include Event #8: €550 No-Limit Hold’em Monster Stack with a €220,700 guarantee on March 24-29, Event #11: €2,000 Pot-Limit Omaha High Roller with a €100,000 guarantee on March 27-28, and the one-day Event #12: €5,300 No-Limit Hold’em High Roller with a €100,000 guarantee on March 28. The PokerNews Live Reporting Team will be on hand to cover both the €1,700 Main Event and the €5,300 High Roller. * Photos courtesy of King's Resort.